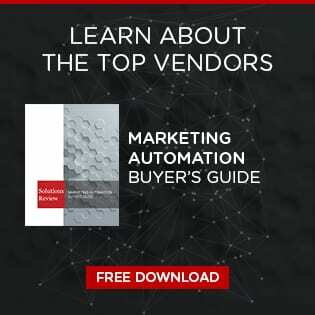 Analyst house Gartner, Inc. recently released it’s 2018 list for the coolest vendors utilizing AI in marketing. These vendors are the ones utilizing the technology in unique ways, as compared to the rest of the companies in that space. These vendors are the ones Gartner regards as doing interesting and, well, cool things with AI. What qualifies as cool in Gartner’s eyes? The answer is hard to say for sure. What is easy to say is that these are five vendors you want to keep on your radar for their outside-the-box applications of AI. Amplero is a Seattle-based provider who’s primary selling point is their AI Marketing Hub’s (AIM) ability to operate customer interaction at a larger-than-humanly-possible scale. AIM offers real-time analytics on customer behavior on vertical and longitudinal planes, presented in such a way that is overlaid with your marketing initiatives. The AIM program utilizes machine learning to execute multiple campaigns at a time, improving them as time goes on as to appeal more to your audiences. Blueshift’s AI offers users a more streamlined experience when operating multi-channel campaigns. By utilizing their predictive programs, users can pit two potential creatives against each other. Using previously input and collected data, an AI will select the optimal creative/template to run with. The product also offers more traditional trappings of marketing automation including a campaign builder tool and trigger-based customer interaction. GumGum’s use of AI for marketing is truly unique. Rather than providing analytics on data or interacting with customers, GumGum uses it’s AI to analyze images and assesses what changes to make to them to optimize their performance in your marketing efforts. By allowing you to place contextually relevant ads on images across the web, you are able to cast a much more efficient net in terms of potential customers. LogoGrab’s name is really a perfect descriptor for what they offer organizations. The provider uses an AI to scan images for specific logos like McDonald’s Golden Arches or the Pringles guy. A deceptively simple prospect, this functionality is big for brands looking to monitor the type of publicity they’re getting on social media or if they are trying to monitor their sponsorship presence on televised sports or anywhere in between. Tanjo specializes in a more interactive brand of AI. Rather than an AI that works on the back-end of the software, users interact and speak directly to the Tanjo Animated Persons (TAP). TAPs are simulated people meant to replicate the thoughts, behaviors and tendencies of a given demographic. Interacting with these automated persons give marketers a better idea of their audience. Next Next post: How Will These 4 Marketing Automation Trends Change the Game? Lead Scoring & Segmentation vs. Lead Nurturing; What's the Difference?